George Ayoub Carpet cleaning offers professional Eco-friendly carpet cleaning in Arlington, VA and the surrounding areas including Sterling and Reston. At George Ayoub Carpet cleaning we use green solutions and proven methods to remove invisible dirt, chemicals, residue and toxins from carpet. 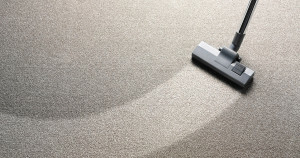 Q: How often do I need to have carpet cleaning service in Arlington, VA? Getting your carpet cleaned professionally and finding the right carpet cleaner in Arlington VA can be a little bit challenging, with so many options in the market, homeowners sometimes struggle to find a professional carpet cleaning company that can do the job properly, in order for homeowners in Arlington to get the best result, we at George Ayoub carpet and rug care recommend that homeowners evaluate the kind of carpet cleaner they need. Read More Q: How often do I need to have carpet cleaning service in Arlington, VA?